Beautiful shoes and accessories for Cup Day are a must – and a unique new range in the ECCO Spring/Summer collection will ensure you stand out in the crowd. 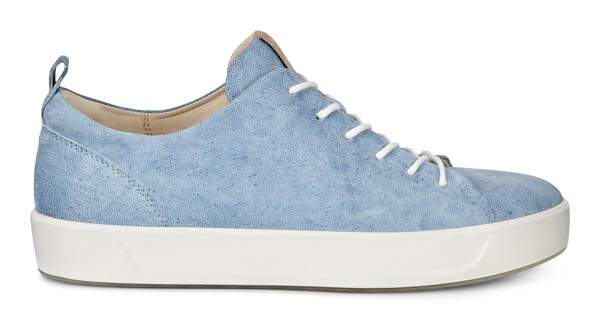 Ecco True Indigo Leather has opened up more colours, textures and possibilities for shoes and bags, with a new leather innovation and a dye that has coloured almost every civilisation, from the ancient to the modern. For thousands of years, man had not found a way of dyeing premium cow and camel leathers indigo blue and achieving exceptional results. But Ecco Leather, based in the Netherlands and widely regarded as the world’s leading research and development centre for the material, made the breakthrough. Reinterpreting the traditional, artisanal methods of dyeing jeans, three different finishes for Ecco True Indigo Leather have been developed – with more colours to come. Just as every hide is different, the same drum at the tannery can produce many different gradations of indigo blue. 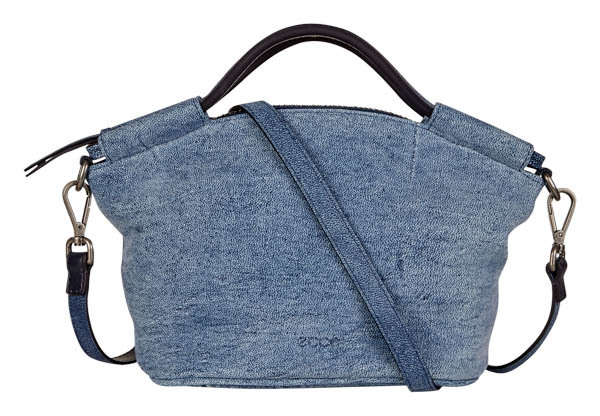 Highlights amongst the collection include the Ecco Shape Wedge Plateau Sandal, and the Ecco Sp 2 Medium Doctor’s Bag, with its denim look achieved with Ecco True Indigo camel leather, which shows more of the natural imperfections than cow hide. The combination of the denim-inspired camel leather and the hand-stitched top handles gives the women’s bag its distinctive appeal. With a strong focus on simplicity, function, and environmentally friendly practices, Ecco constantly strives to make the most comfortable and versatile footwear.